Here’s the 2019 edition of Guerlain KissKiss Chinese New Year lipsticks. Basically we are talking about the same formula of an amazing lipstick with the special edition red packaging. I’ve been testing and using a lot of Guerlain KissKiss lipsticks for years and they are among my favorite. Well, not to lie though, but I’ve just invested my money into new Guerlain Rouge G shades (upcoming reviews). 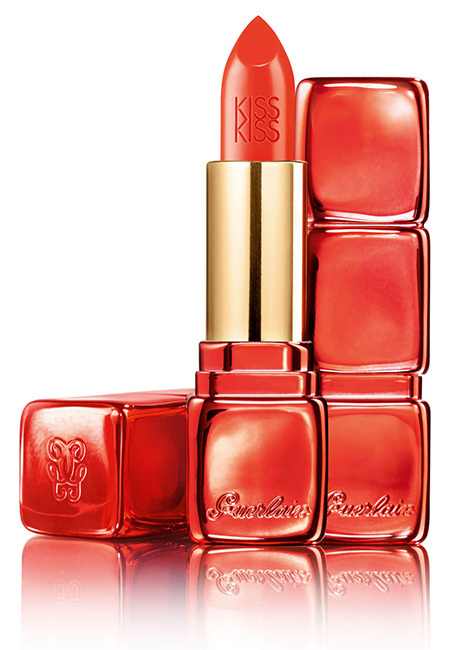 The KissKiss Shaping Cream Lip Colour from Guerlain is reimagined in luscious red casing in celebration of the Chinese New Year. The cushioning formula envelops your pout in a hydrating burst of formula for a plumper and healthier look. Each shade is long-lasting and highly-pigmented, building up colour which promises to stay put. Sumptuous vanilla-violet fragrance ensures it’s a joy to apply.